Commissioned by VISIONS. Co-presented with Available Light Collective. This program offers a cross-section of the ways that athletics have been treated historically in artists’ film and video; from examinations of the vernacular and sports’ mass mediation, to interplays with its accoutrements, geographies, architectures, and audiovisual grammar. Films by: Julian Biggs, Claude Jutra, Alexandre Larose, Arthur Lipsett, Marc Pelletier, Daïchi Saïto, Emilie Serri, Malena Szlam, and Bill Wees. This screening gathers together six decades of artists’ films that collectively refract the diverse nature of Montreal’s unique urban environment. From distinctive architectural markers like Habitat ‘67, Parc du Mont-Royal and Place Ville Marie to anonymous snowscapes, moon plays, and back alley explorations, these works compose a fluid, unfixed cinematic city that is at once dystopic and utopic, eerily empty and actively engaged, brutish and brimming with life. Curated with Leo Goldsmith. Presented by ExFM (Experimental Film and Media) and CinemArts (Cinema and Art History) Scholarly Interest Groups and Double Negative filmmaking and programming collective, along with the Documentary, Nontheatrical Film and Media, and Urban Studies SIGs. Still from When the Organ Played 'O Promise Me' Auroratone (Cecil Stokes, 1943). Courtesy of Robert Martens. Still from Special Effects (Hollis Frampton, 1972). Films by: Beverly and Tony Conrad, Hollis Frampton, Nancy Holt and Robert Smithson, Carolee Schneemann, and Paul Sharits. FRACTURES brings together work made in the 1960s and early-70s, at a historical juncture when distinctions between conventional categories of "art" and "film" were collapsing. This era saw an increased dematerialization of the art object with the rise of Conceptual Art, Land Art, Performance Art, and other ephemeral art movements. Concurrently, many artists working in established disciplines such as painting, sculpture, photography, and dance, began to make their first films, shifting focus from objects to ideas, language, process, and the moving image. This transition is expressed in structural-materialist films of the period, a sub-category of avant-garde cinema that rigorously tested the limits and possibilities of film’s irreducible elements (light, time, space, rhythm, camera movement, and editing). Still from Mount Shasta (Oliver Husain, 2008). Films and videos by: Jeremy Blake, David Hammons, Oliver Husain, Corey McCorkle, Jennifer West, and Haegue Yang. This series explores how artists have used time-based media to engage space and architecture through duration, performance and embodied perspective. From hand-held shots to chemical treatments, these works emphasize the spatial and material qualities of film and video. Together, they prompt us to consider the social and psychological and aspects of a range of locations, including empty streets, an abandoned zoo, a historical house, hidden cavern, and physics lab. The Future of Creativity (Jeremy Bailey, live performance, 2012). 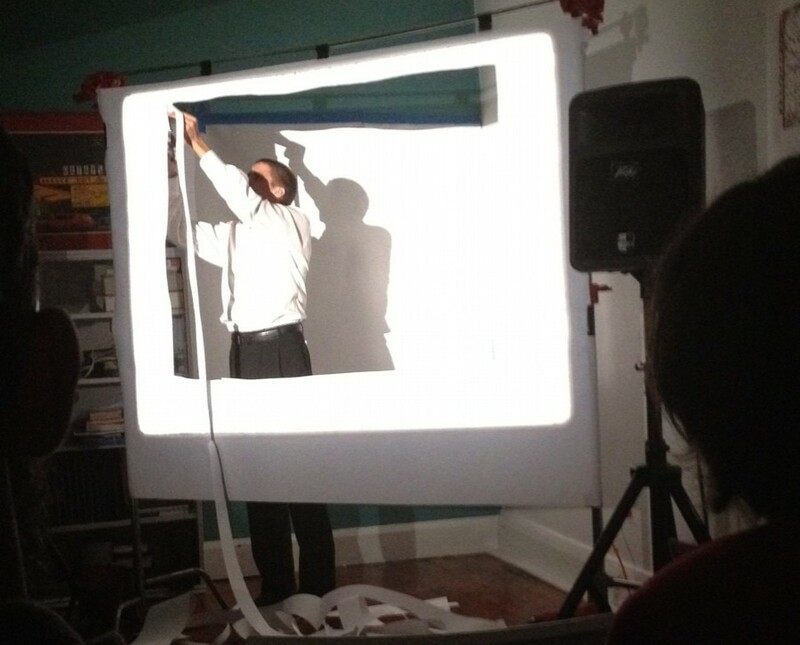 Nico Zevallos re-performing Takehisa Kosugi's FILM & FILM #4. The term “paracinema” delineates a body of artworks identified by their makers as films, but that lack one or more material/mechanical elements of the film medium. Such works began to appear in the 1960s in the wake of Conceptual art's rejection of standard artistic media like painting and embrace of much more ephemeral, transient materials and forms (including concepts themselves, independent of realization in any concrete material form). This casual evening of paracinematic exploration will feature re-creations of Hollis Frampton’s famed 1968 performance piece, A LECTURE and Takehisa Kosgui's little known performance FILM & FILM #4 of 1966. Co-organized with Melissa Ragona and Jonathan Walley. Presented in collaboration with the Carnegie Museum of Art. 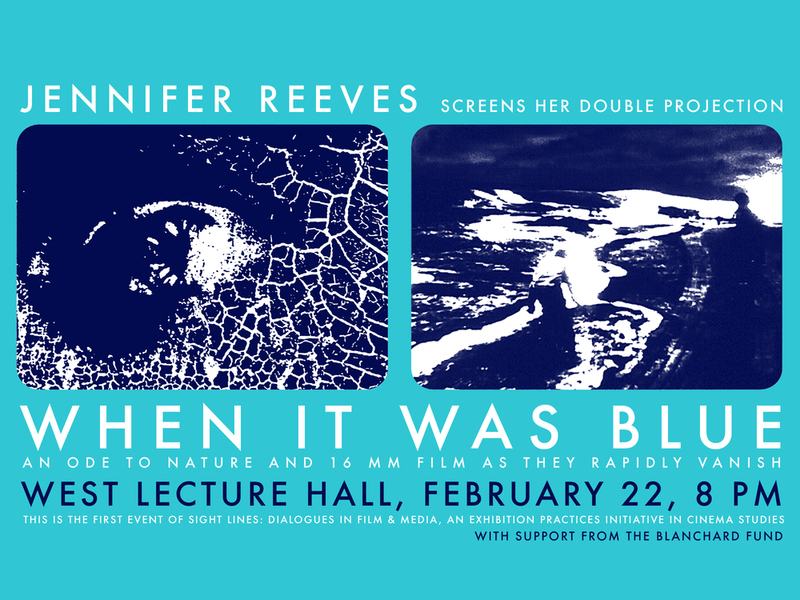 Featuring screenings, lectures, and performances, this program explores the field of Expanded Cinema from both historical and contemporary perspectives. Invited guests include Jonathan Walley (Dension University), a scholar of expanded and “para-cinema”; and the New York-based film artists Sandra Gibson and Luis Recoder, who have collaborated on immersive film projector performances and installations for the past ten years. In addition, a pair of seminal works of Expanded Cinema, Anthony McCall’s 1973 “film sculpture” Line Describing a Cone, and Beverly and Tony Conrad’s 1971 multi-projection “film environment” Four Square, will be presented. Focus Group is a roving, weekly screening series of student and guest curated film and video programs. Events take place on Wednesday evenings at various locations throughout Oberlin during the Spring semester. Focus Group was formed in February 2011 as a project of my CINE 323: Exhibition Practices in the Media Arts course at Oberlin College. All screenings are free and open to the public. Still from Beach Events (Rick Hancox, 16mm film). THE ROAD ENDED AT THE BEACH AND OTHER LEGENDS represents the first critical survey of Canada's mythic and amorphous "Escarpment School," a loosely knit band of Ontario-based filmmakers that came together in the late-70s at Sheridan College, under the tutelage of Rick Hancox and Jeffrey Paull. REEL FEEL is a four-day film and media arts festival that draws on the collaboration of artists, students, and community. From May 12-15, join us each night for a distinct celebration including visiting artist presentations, multimedia exhibitions, media-infused parties, and concise student-curated screening programs in diverse and alternative art spaces including swimming pools, parking lots, grassy nooks, chapels, and other unexpected and surprising locales. The festival kicks off with an interactive presentation by the renowned New York-based new media artist and curator Marisa Olson. Olson will present an illustrated lecture in the Allen Art Building's Fisher Galley at 8pm on Wednesday, May 12th, which will simultaneously feature sound and video installations and new media projects by Olson and an assortment of Oberlin College students. CINEMA 062 is a weekly series that presents specially curated alternative, independent, and experimental media every Wednesday night in Oberlin, Ohio. The series takes place in the basement of Oberlin College's Art Building, in room 062, and has featured a variety of unique screenings, including The Blazing World, curated by Thomas Beard (Founding Director of Light Industry in Brooklyn), From the Vault: Films from the Oberlin College Collection, Aaron Dilloway: Carte Blanche, Two Films by Yoko Ono, student-curated YouTube Playlists, and more. CINEMA 062 is an initiative of CINE 323: Exhibition Practices in the Media Arts, a course taught by Brett Kashmere in the Oberlin College Cinema Studies Program. Still from The Game (Tasman Richardson, 2007). Still from Melter II (Takeshi Murata, 2003). Pioneer Species is a micro-cinema screening alternative, independent, and experimental media every Wednesday night at various locations in Oberlin, Ohio. 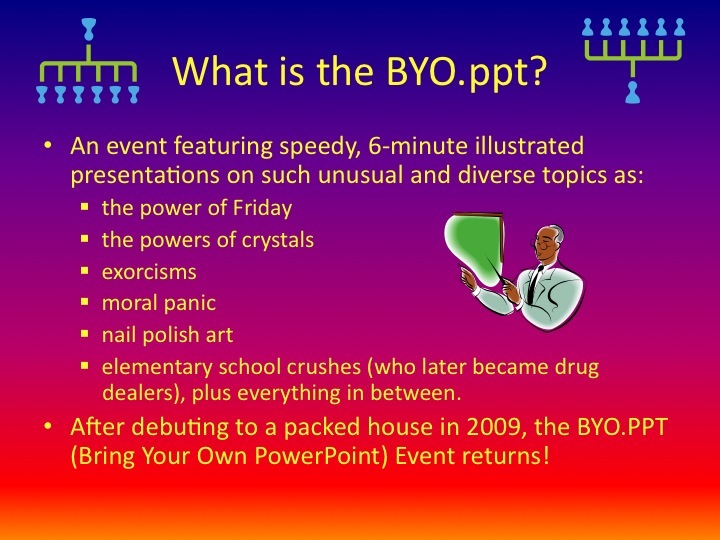 Often, visiting artists and curators will be present to introduce their programs. The micro-cinema is managed by students of the Oberlin College CINE 323: Exhibition Practices in the Media Arts course, taught by Brett Kashmere. Still from Ask the Insects (Steve Reinke, 2005). Videos by: Stephen Andrew, Tony Cokes, Jacqueline Goss, Paper Rad, Jenny Perlin, Steve Reinke. Still from Fluxes (Arthur Lipsett, 1968). Still from Black Ice (Stan Brakhage, 1994). Film, video, audio by: Arnait Women's Video Workshop, Michael Bell-Smith, Stan Brakhage, Thorsten Fleisch, Jake Kennedy, Kurt Kren, Peter Lipskis, Guy Maddin, Collin Olan, Paper Rad and Wolf Eyes, John Price, and Joyce Wieland. Winter Light revels in the fleeting aesthetics of winter, presenting works that document ice melting, crystals forming, stars twinkling, birds migrating, surreal dreaming, the loss of consciousness and the warmth of a flame. Co-curated with Astria Suparak to accompany the exhibition Embracing Winter at The Warehouse Gallery. Still from The Paper Wall (Nick and Sheila Pye, 2004). Films and Videos by: Mitchell Akiyama, deco dawson, Ryan Diduck, Kelly Egan, Julien Idrac, Brett Kashmere, Karl Lemieux, Nick and Sheila Pye, and Daichi Saito. Audio Visions from Up North! This program of recent experimental film & cinematic video from Canada and Quebec lays down tracks – in snow, over celluloid, across optical fields. Music for eye & ear (hold the control), with tracking shots that reveal the organic thru artifice. Painting as conceptual coordinate and point of departure, particularly the gestural Automatism of Riopelle and b/w Borduas minimalism, where representational abstraction flows from corporeal rhythms and spontaneous production. We work to keep (it) warm. Still from Home Stories (Matthias Muller, 1990). Sunset Strip may be a two-way street, but there's no escape from female flesh when entering a movie coliseum or even the neighborhood microcinema. Not only is the Hollywood industry consumed with containing, exposing and displaying women, experimental filmmakers are similarly perpetrators and/or victims of these same crimes of convention. But most do so consciously, mining mainstream cinema's endless blockbusters, influential archetypes and infamous female trouble. Yes, these girls are (in) trouble, this desire is problematic, those directions are dangerous. Still from A Miracle (Daniel Barrow, 2003). Videos by: Jeremy Bailey, Daniel Barrow, Dorion Berg, Shary Boyle, Peaches and Kara Blake, Jubal Brown, Daniel Cockburn, Paige Gratland, Brett Kashmere, Jake Kennedy, Jim Munroe, Jon Sasaki, and Tom Sherman. How To Be A Canadian is the third and northernmost installment of Eyebeam’s NAFTA- inspired Panorama screening series. Co-curated with Astria Suparak. Storefront gallery and microcinema, co-founded with Robert Pytlyk, Alex Rogalski, and Jason Cawood.